plant flowers along the front porch (it is embarrassingly terrible there) I bought 2 flats of sale flowers on Friday night. 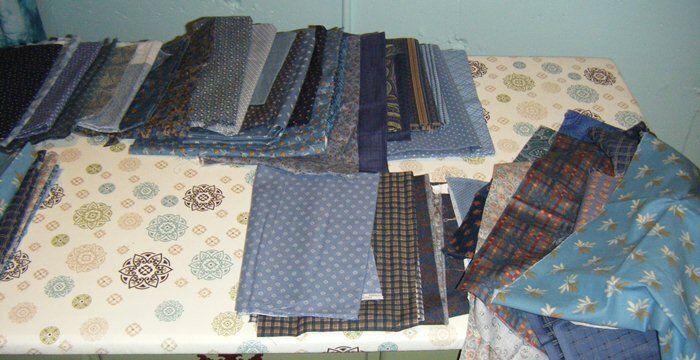 go over the blue fabrics I have pulled from my stash for my Farm Fest retreat with Elinor in 2 weeks. Sick, sick minds, I’d say!! 🙂 She was only home for 45 hours! On Sunday morning, we sorted my blue fabrics and then got the hair-brained ideas for the rest of the collaborated list. We had a shopping list and a search & find list. Then dinner out with the grands. After lunch, we got some groceries and came home. 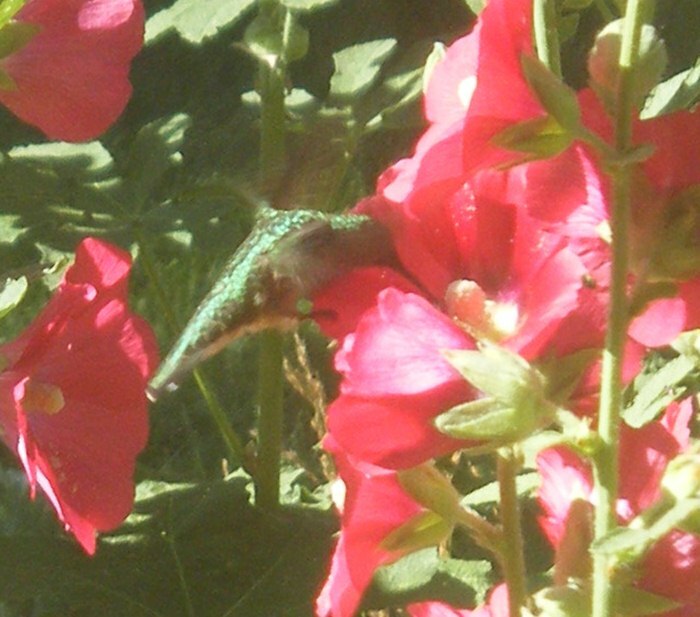 And we watched a hummingbird!! It was here for several minutes LOVIN the snack from JP's monstrous hollyhock patch! 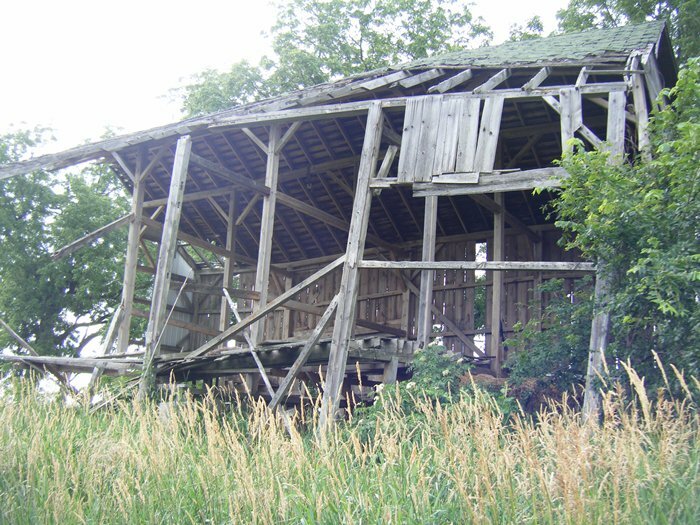 A very sad, dilapidated, worn out, picked over by the neighbors 😦 ….. barn for Robyn…. That evening we enjoyed our bonfire. We were done with projects for the day!! On Monday, I was made to choose the most important projects to work on. Hmpf! 😉 First up, after playing with the kitties, was the ladder. 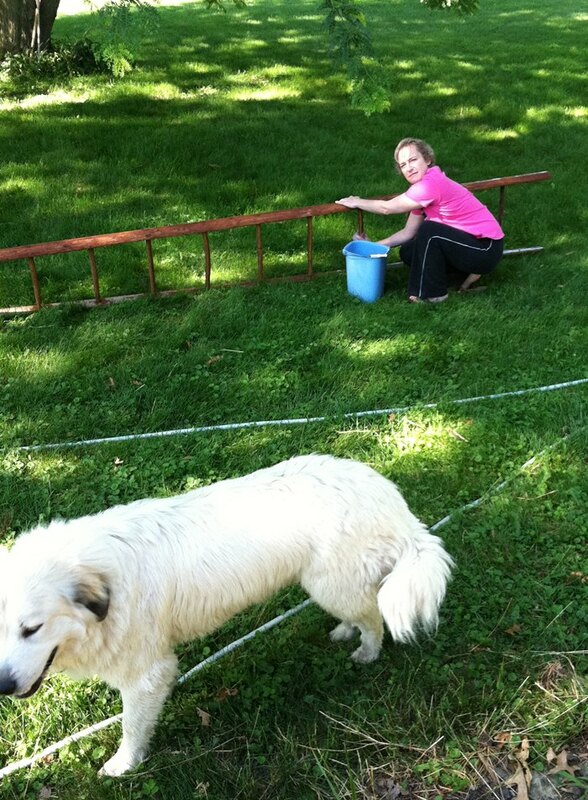 I washed, K ran her camera phone….. 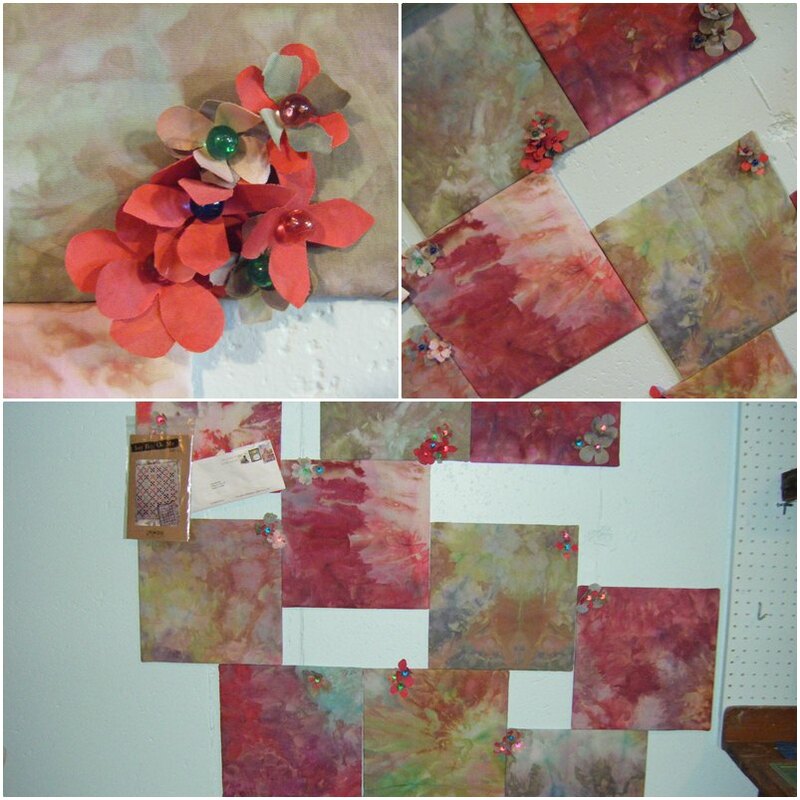 While it dried in the sunshine, we hung the corkboards. Happy Birthday to ME! Oh yes. It is stunning!! Be jealous. 🙂 But she’s my daughter and I’m keeping her!! I think I’ll hang my quilt samples there for storage and some decor. Isn’t that funny… I didn’t clean up for you. 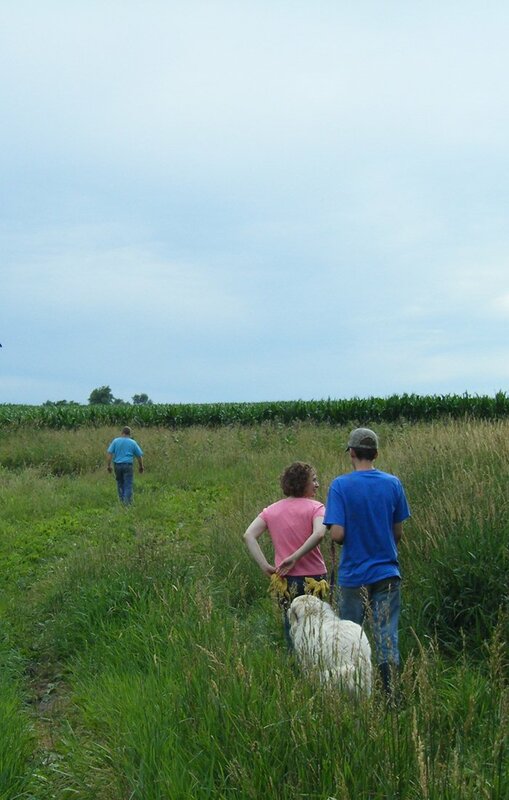 Ok… take note of the old corn crib door. 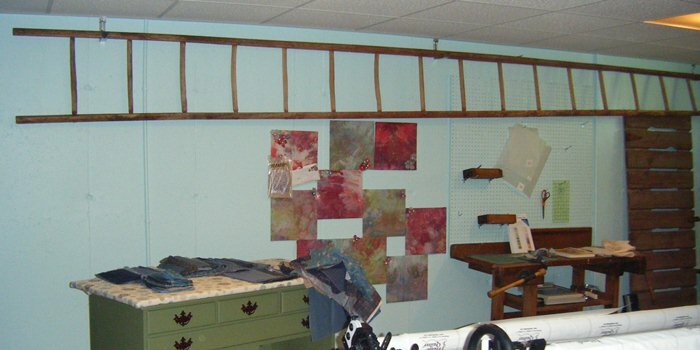 K & I had thought of adding dowel rods to make a thread rack. But I’m not sure it looks OK in there after all so I’m not going to drill holes in it until I’m sure. Your thoughts? After lunch, grilled zukes & steaks with lots of extra to send home with K, we made taco meat and fixed the extras for K to have quesadillas for lunches this week. I watched Emma while K took a short nap. She had leftover Chinese food for an early supper and headed back home about 5:40. We were thankful she reported in by 8:30; home and the traffic wasn’t bad!! Yeah! I must say…. we did pretty good with the lists. Of course, we didn’t plant flowers and that was the biggest job on the list. But Phil helped with that on Tuesday morning so now about 1/5 of the front area looks tolerable.